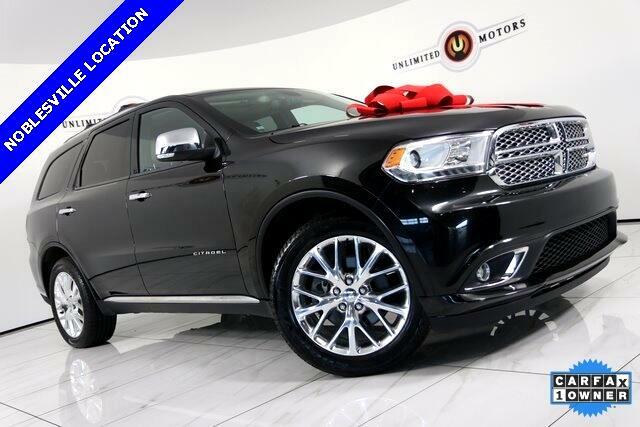 Navigation, Back Up Camera, Bluetooth, Sun/Moon Roof, Heated Seats, Towing, 3rd Row, Touch Screen, Durango Citadel, 4D Sport Utility, HEMI 5.7L V8 Multi Displacement VVT, 8-Speed Automatic, AWD. CARFAX One-Owner. Odometer is 5941 miles below market average! Priced below KBB Fair Purchase Price!